Lead by Kara, a certified Forest School Leader, Primary Teacher & former Park Ranger! We will make your child’s party one to rave about! This is time for your child and friends to connect outside. We plan time for free, unstructured play as well as nature craft activities. Parents can join in or relax knowing the kids are in safe hands. We can come to your backyard bush! Prices depend on number of child, activity options and location. This is time for students to gain independence, grow confidence and make new friends. There is time for free, unstructured play and re-wilding and nature craft activities. Kids who attend all 6 sessions will experience knots and lashes, shelter building, bush craft and fire lighting (weather permitting). Kara Spence - a teacher, former Park Ranger, Forest School Level and Nature and Forest Therapy Guide with over 25 years experience working with children and communities to bring curriculums alive through unique outdoor sensory experiences. 1 to 3 hr practical workshops and community presentations available. Kara has over 25 years experience in teaching and curriculum design, with a specialisation in Inquiry Based Learning, STEM and Nature Pedagogy. Listen to Kara on ABC Radio Hobart. 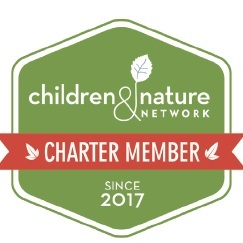 Learn more about Nature School. Little Forest Folks in the UK share their Forest School.